The 53 students enrolled in this year’s Arabic summer program discovered the wealth of cultural knowledge that comes with learning the language as they toured Lebanon’s landmarks, historical sites and natural treasures. SINARC participants are introduced to the program during an orientation session. A walk in the Bsharri cedar forest. 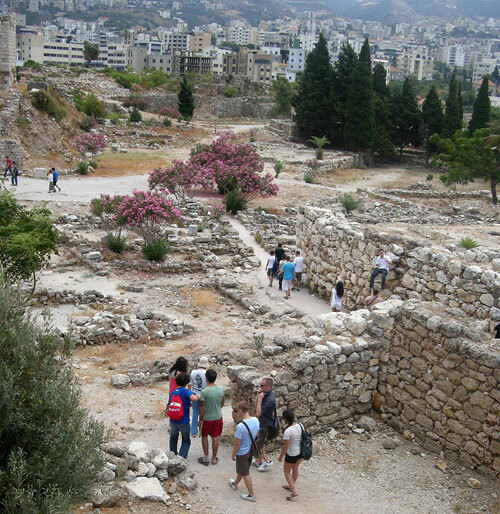 Students explore the ancient ruins of Byblos. 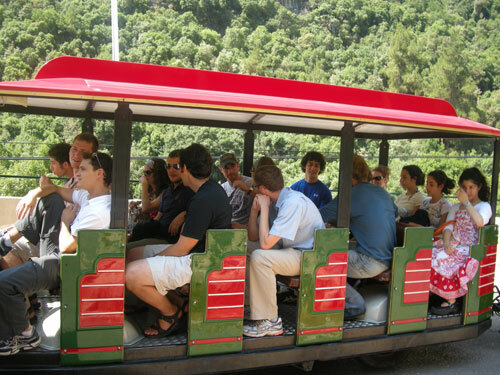 The shuttle train in Jeita takes SINARC participants from the lower to the upper grotto. Click any image to view all four pictures. According to SINARC Director Mimi Jeha, people of Lebanese origin and students of Arabic or Arab culture join the program every year, seeking to better understand the language and the people who speak it. The program provides participants with an enriching experience, offering cultural exposure they cannot get anywhere else, Jeha said. Travis Moe, a literary and cultural studies major at New York University, had heard a great deal about the beauty of Arabic poetry and its effect on converting people to Islam, and thus wanted to learn the language in order to be able to read it for himself. 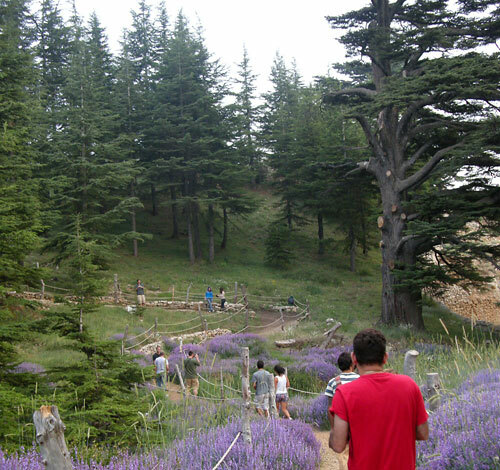 During a field trip to North Lebanon, participants hiked through the famous cedar forest, spent the night in the mountains, went sightseeing in the city of Tripoli, and visited the Rabbit Island, a nature reserve off the coast of the city. Other excursions included visits to the cathedral of Harissa, the ancient city of Byblos, the Jeita grotto, the renowned Baalbeck archeological site, the mountain palace of Beiteddine, and the southern coastal cities of Sidon and Tyre. The students also went to Syria, where they toured Damascus, Saydnaya, and Palmyra. Marie O’mara, who also participated last year, was once again impressed by Lebanon. It is “the most brilliant country in the Middle East,” she said. It has “the perfect mix of cultures…[since] Arab culture [is] mixed with a European, Mediterranean atmosphere,” she explained. Half British and half Pakistani, O’mara is writing her final-year dissertation on Lebanon. So, she is staying in the country a while longer for research before going back to Edinburgh University. Mary Farah, from Washington D.C., wanted to learn Arabic because of her Lebanese background. Farah, who enrolled in the elementary program, said her favorite part was the dialect course, adding that they got to sing a lot as part of the learning. The program that took place July 23–August 1 also offered 20 hours per week of intensive classroom instruction in Arabic language at four levels. Every course also included a smattering of Lebanese dialect. The program is further enhanced by means of lectures or film presentations on various aspects of Arab history, society, politics, and culture. Students who want to speak the Lebanese dialect better can also enroll in a separate eight-credit course. Credits are transferable to the students’ home universities. SINARC also holds a 15-week program from early September until mid-December. Fall participants receive 14 credits per course at the intermediate or advanced levels. The program includes two courses on Arabic writing and the challenges of the Middle East in the 21st century.